Following nearly nine years of service in the United States Armed Forces, including service in the Air Force Intelligence Service and the Coast Guard as a weapons controller, Mark graduated from the Case Western Reserve University School of Law in December, 1992. Since graduation, he has distinguished himself as a public defender (4 years) and in private practice (9+ years). During that time, he has successfully conducted numerous DUI motion hearings and jury trials, including getting across-the-board "not guilty" verdicts in a case where his client was charged with DUI, fleeing and eluding, reckless operation, speeding (105mph in a 60mph zone), and failure to wear a seatbelt. In December 1994, he received the student certification in the National Highway Traffic Safety Administration's (NHTSA) "Standardized Field Sobriety Testing" (SFST) course. In September 1997, after attending a four-day course, he received NHTSA's instructor certification status in SFST. He has testified as an expert witness on the proper administration and grading of SFSTs in DUI trials in both Pennsylvania and Ohio. 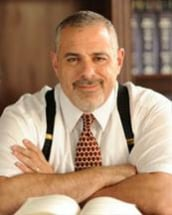 He has also become a fixture as a lecturer at the yearly Ohio Association of Criminal Defense Lawyers (OACDL) Advanced DUI seminars, as well as a speaker at DUI seminars in Texas, Georgia, South Carolina, and Arkansas. Mark was also the appointed inaugural chairman of the OACDL's DUI Defense Task Force. Mark has been received the AV rating under Martindale-Hubbell's peer review rating system. The Law Office of Mark Gardner is located in Cleveland Ohio and serves client in Cuyahoga County, Lorain County, Lake County, Medina County, Summit County, Geauga County, Ashtabula County, including Bedford, Berea, Cleveland Heights, Euclid, Garfield, Lakewood, Lyndhurst, Parma, Rocky River, Shaker Heights, South Euclid, Painesville, Mentor, Willoughby.